Jan Ullrich has earned an easy retirement. After winning the ’97 Tour de France at age 23 he became a German national-hero. For the next five years he battled Lance Armstrong earning a record five second-place finishes, too bad for him but it sure made for great racing. This year it was revealed that DNA samples collected during a Swiss justice department raid at Ullrich’s house matched 9 bags of blood in Dr. Werner Fuentes’s office. Dr. Fuentes, of course, is the doctor who was providing performance enhancing drugs to a number of now-indicted criminals … I mean … professional cyclists. The cycling authorities have destroyed the most famous bike race in the world. From now on, every time a champion dons the yellow jersey the rest of us are left wondering: Is that athlete successful today because of hard work and careful training and talent? Or is he doping? Barry Bonds is slowly and surely working towards breaking the most hallowed record in baseball, Hank Aaron’s 755 career home runs. (Bonds has 751 as of today) To say that Bonds has been a dominant player is an understatement. Since 2006 Bonds leads the major league in career walks (2,454) and intentional walks (656), he ranks 2nd in extra base hits (1,417), 3rd in both at bats per home run (12.9) and runs (2,175), 4th in total bases (5,872), 5th in RBI (1,960), I could go on, but you get the point. Through its inaction, Major League Baseball has destroyed the most-loved record in baseball. Why? Because every time Barry swings his bat all we see is a cheater. Because enforcement is so difficult, it seems the only way out at this point is to change the rules and make all doping legal. They’re going to do it anyway, you might as well let them. That is as long as the incentive to succeed at any cost is there. Let the viewers and the enthusiasts decide whether or not to support such games. Hopefully people will finally get fed up with these childish antics and go grab a bike, or better, a climbing rope of their own, and leave the TV and go outside themselves. Climbing itself has a long history of drug use, though the vast majority of it is decidedly not performance-enhancing. However, it is widely assumed that Herman Buhl used some kind of amphetamines during his solo-ascent and first-ascent of Nanga Parbat in 1954. 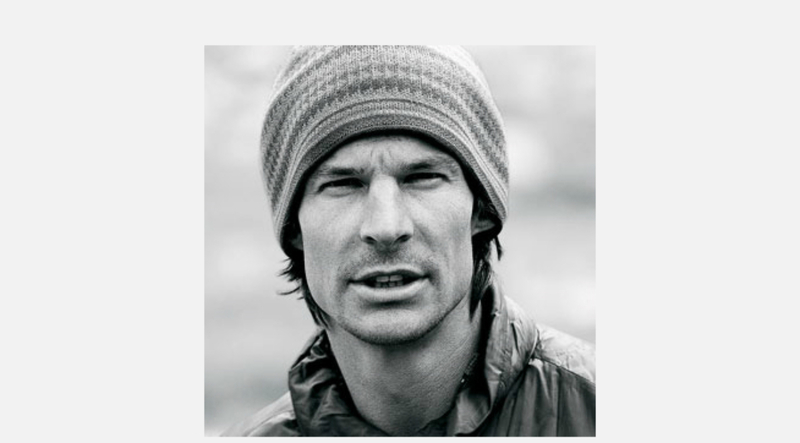 In the late 90’s I personally knew one climber who supplemented with creatine. (remember that craze?) This legal, over-the-counter compound exists naturally in your muscle tissue. Supplementing with it allows you to recover faster and therefore train more frequently. Doping is distasteful because it artificially changes one athlete’s physical reality. It is true that in certain specializations climbers wouldn’t reach their goals without cheating. Yet it remains relatively rare in climbing. Why? I think it is because there is little financial incentive for excelling in climbing. I could count the number of American climbers climbing full-time with sponsor support on the fingers of one hand. This is a good thing. I believe we have a responsibility to ourselves to avoid fostering an environment where people might be tempted to cheat within the climbing/skiing/velocity sports we love. In that vein, we should avoid situations that reek of competition and emphasize the process and the innate power these sports have. And if we do include athletes as ambassadors in our community it is correct that those ambassadors are asked to do real work in contributing to the community. There are two areas of climbing that are threatened by doping’s specter. One is sport climbing. There is no financial incentive to climb 14a – a routine event here at Smith Rock – but if you climb 15a, you have more than enough sponsor-support to climb full-time. If you’re not scared yet, check out 8a.nu, the online scorecard for hard sport climbing (8a is the equivalent of 5.13b in the French grading system and, as I understand it, the easiest redpoint you can add to your “scorecard”). 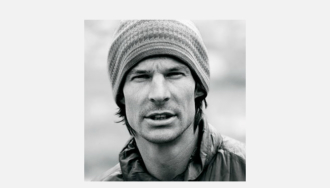 Everest is the other example in climbing where the financial incentive to succeed (to not squander that $60,000 permit) has people doping like fiends. 514 climbers have reportedly summitted Everest so far this year and most (maybe all?) used supplementary oxygen. Sucking O’s is definitely doping. And clearly it is cheating. Not one ascent made with O’s counts in my book. What does this have to do with real climbing? With me? You might be surprised to learn that after Nanga Parbat in 2005 six separate journalists asked me if we had been using steroids or EPO. As I recall, Vince did have to resort to a course of antibiotics to beat a bad case of the shits. And we did consume a few aspirin on the way up the route in seeking some relief from the wicked nighttime headaches that are so common with altitude. And yes, we did carry an emergency supply of drugs in case one of us contracted HACE (High Altitude Cerebral Edema) or HAPE (High Altitude Pulmonary Edema). Specifically we carried, but did not use, Diamox and Dexamethasone. But no we didn’t dope. You see, we weren’t there to succeed, we were there to live. And that is a message we should spread and support in the climbing world. Whether trying to redpoint 5.14 or climb Denali’s West Buttress, the summit does not define success. Success is experiencing, feeling, struggling, and learning. So, here’s to a good fight!